I love men and women who can troll a person without personally taking a dig at them. Recently Jallikattu supporters started attacking actress Trisha and Virat Kohli personally for their association with PETA. People started attacking Trisha's character and some guys attacked Anushka Sharma thinking that the best way to hurt Kohli is by attacking his girl. Trisha had to end up closing her Twitter account. 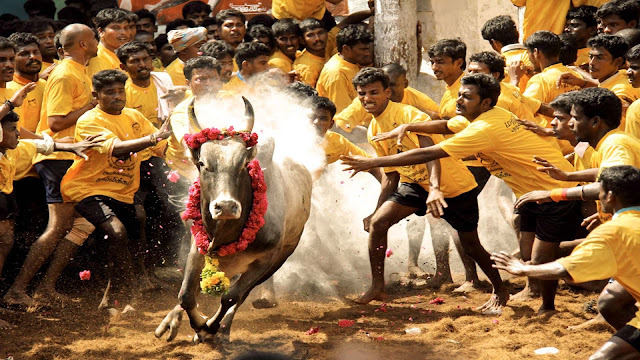 I am a supporter of Jallikattu; but I felt that attacking a person on their character when they had not gone one on one on an ad-hominem approach was unnecessary. I recently came across these two Twitter responses by common men against famous personalities. They made me laugh out loud. They could have taken a dig at these two personalities easily and attacked them personally; yet these guys trolled them big time without hurting them at all. To me, that is the best way to use sarcasm. When Vijay Mallya wished Tamilians across the globe with a Pongal wish, a Twitter user replied to him stating that Kingfisher beers have gone down in quality after his disappearance from India. That was indeed a genius way to troll someone. 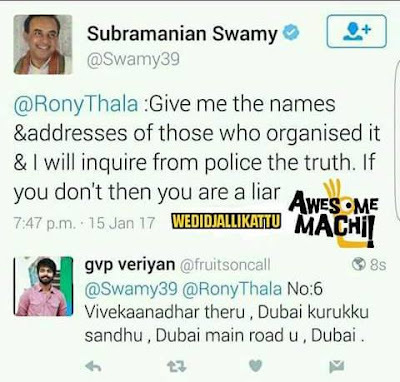 Vadivelu comedy dialogues come in handy in all situations. The dialogue used by Parthiban against Vadivelu in a movie came in as the right response to a statement made by Subramanian Swamy. Amidst all the Jallikattu posts, I found this to be a great one. Jokes like this can make anyone smile. PETA does not even deserve our hatred. PETA should be treated like a comedy piece and should be shown the door. personal attacks should be avoided... our intention was Jallikkatu and we should keep front our values and precious bulls.